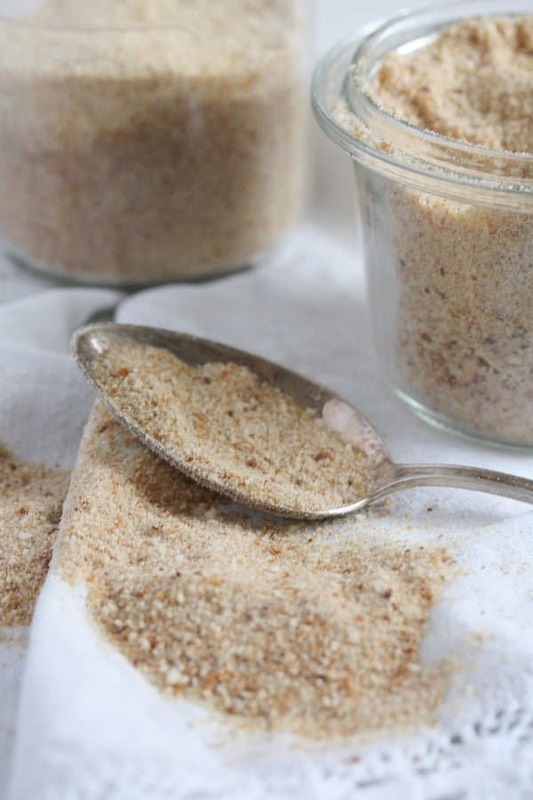 How to make your own breadcrumbs, fresh or dried, with or without a food processor. Recipe for homemade Italian breadcrumbs included. 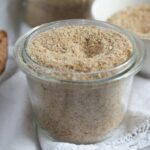 How to make breadcrumbs at home? Did you ever make your own breadcrumbs? I do it all the time, I think I haven’t bought any store breadcrumbs in years. Well, except the panko breadcrumbs, they are something else. But when it comes to regular dried or fresh breadcrumbs, I never bother to buy any. Not that they are not good, I would always used to buy them at the baker’s, made only from bread and free from preservatives. And not that they are expensive either, breadcrumbs are always very cheap. But we eat a lot of bread and we often have some bits and ends of stale bread lying around. We are not very particular generally, if the bread is a few days old, we toast and eat it and it is perfect. But still, there are times when I either bought too much bread or we ate something else that didn’t require bread for dinner or whatever. There are always times when you just have too much bread. So, that’s teh time for homemade breadcrumbs, I would never consider throwing away bread. There are two kinds of breadcrumbs you can make: dried or fresh breadcrumbs. And two ways you could make them, with or without a food processor. What bread to use to make breadcrumbs at home? I use any kind of bread I happen to have leftover. If a recipe specifically requires fresh white breadcrumbs, then I would buy some white bread and let it a day or so on the counter. Otherwise, I use the regular German mixed bread, which is made with both whole wheat and white flour. Or with a mixture of rye, white and whole wheat flour. If I happen to have leftover toast bread, I use that too. What I would not use is supermarket sliced bread, the really soft, fluffy and sweet one. If I would use that, then definitely in combination with another tastier sort of bread, I cannot stand the sweetness of that bread. 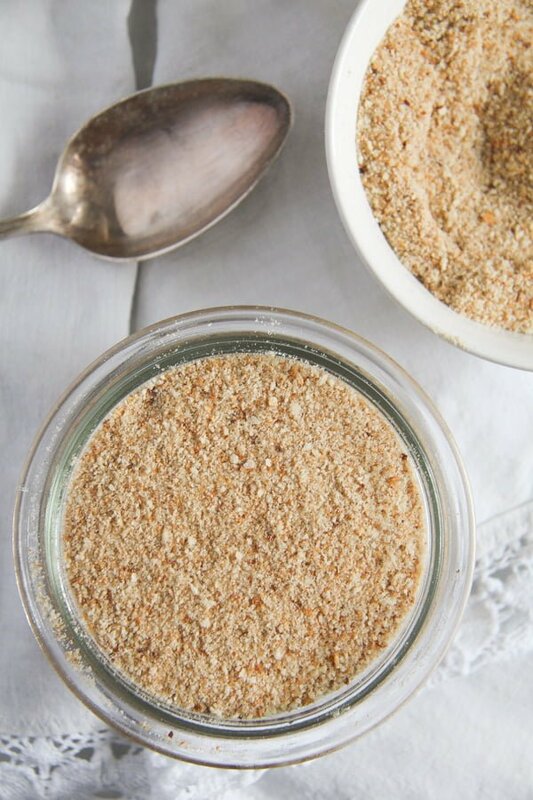 How to make breadcrumbs with a food processor? Most of the times, I make dried breadcrumbs out of stale bread. The easiest way to make them is to use a good food processor. In order to make the dried breadcrumbs, slice the bread and cut it into small cubes. I always leave the crust on. Place the bread cubes on a tray and leave the tray on the counter until the bread cubes are completely dry and hard. You should definitely cube the bread before drying it out, it is difficult to break the slices into pieces once the bread is hard. Once the bread pieces are dry, give them to the food processor into small batches. Don’t fill the food processor too much, making smaller batches of homemade breadcrumbs is better. First of all, it would not overstretch your food processor’s capacity. Then it will allow you to control the breadcrumbs’ degree of coarseness, you can decide if you need finer or coarser breadcrumbs. Pulse until you have achieved the desired consistency. If making fresh breadcrumbs, I use bread that is 1-2 days old without letting it become completely dry. I break or cut the bread into smaller pieces, give them to the food processor and pulse until I achieve the desired coarseness. You can also use a good stick blender to make dry or fresh breadcrumbs, however especially when making dried breadcrumbs, I prefer to use the stronger food processor, I always worry about the blender not being able to cope with the dried bread. When using the stick blender, only process small batches of dried or fresh bread at a time. 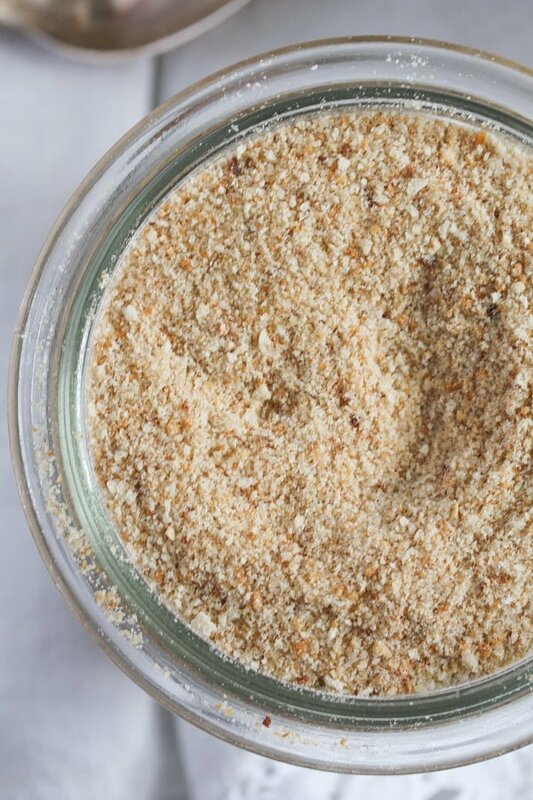 How to make breadcrumbs without a food processor? 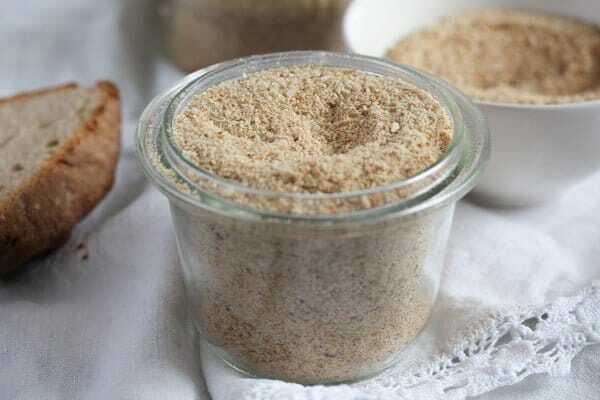 You can also make dried breadcrumbs without a food processor. 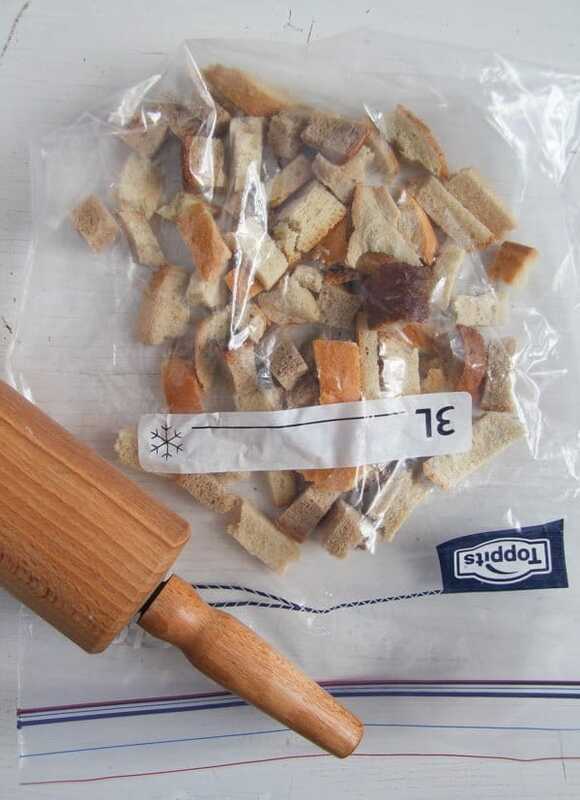 Give small batches of the dried bread into good quality freezer bags. I mention good quality, because the really cheap and thin freezer bags I sometimes have in the house are not that suitable, they would break rather quickly. Close the bag, set it on a hard surface and crush the bread with the bottom of a frying pan or a sturdy rolling pin. And you can also make fresh breadcrumbs without a food processor. In this cake, give the sliced bread to freezer bags and freeze the bread until solid, at least 2-3 hours or longer. You can freeze bread leftovers if you plan to make fresh breadcrumbs sometimes in the future and leave the bread there until ready to transform it into breadcrumbs. Once the bread is frozen, grate the slices on the grater. How to make Italian breadcrumbs at home? To make your own seasoned Italian breadcrumbs is very easy as well. Add fine sea salt, pepper and herbs to the breadcrumbs. You could either use a ready Italian herb mixture and just add salt, pepper and maybe some onion and garlic powder. Or you can use typical dried Italian herbs, like oregano, basil, thyme, rosemary, parsley. If I want to go for a French breadcrumb seasoning, I mix about 1 cup breadcrumbs with about 1 ½ teaspoon Herbs de Provence, salt and pepper. Fresh homemade breadcrumbs will keep for a several days in the refrigerator. They should be stored in airtight containers. If you have a larger quantity, give the fresh breadcrumbs (either plain or seasoned) to freezer bags, flatten the breadcrumbs in the bag (you should not have a lump), close the bags well and put them in the freezer. They will keep for several months. Whenever you need some, take the required quantity out of the bag and let thaw on the counter for a few minutes, the breadcrumbs will defrost very quickly. 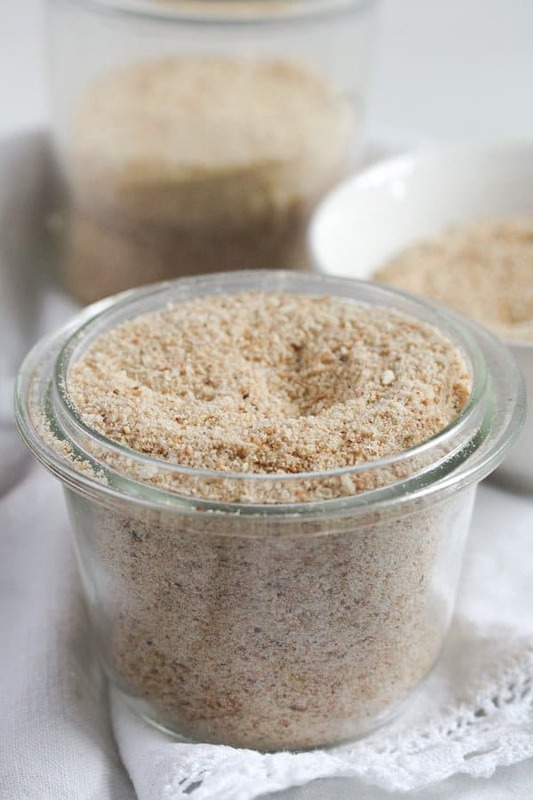 Dried homemade breadcrumbs will keep for several weeks at room temperature, stored in an airtight container. 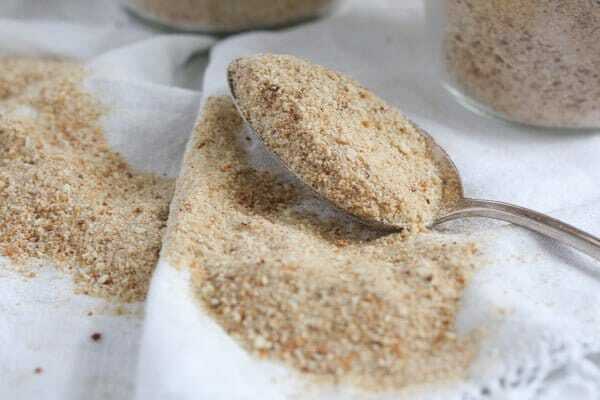 Homemade dried breadcrumbs will also keep longer if frozen. Pack, defrost and use just as described above. 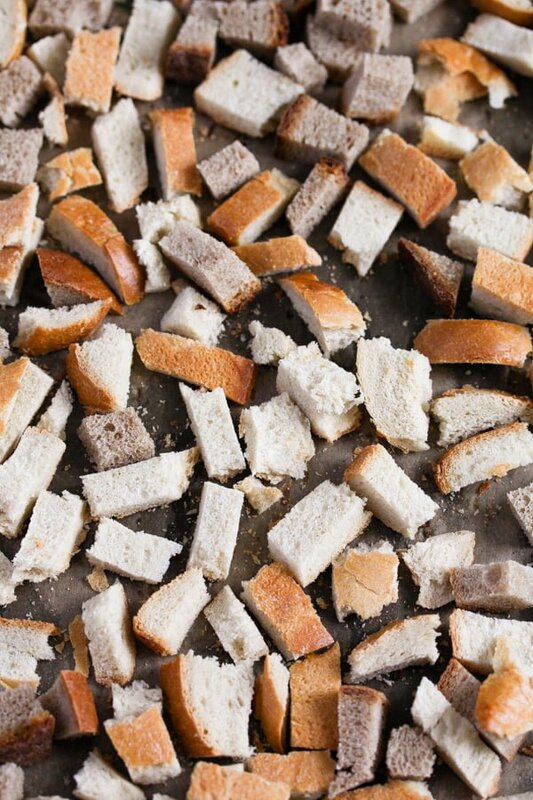 Cut the stale bread into small cubes. Spread the cubes onto a baking tray and let them on the counter until completely dry, preferably overnight. Give the bread cubes to the food processor. If you have a larger quantity of bread, process the bread cubes in several batches. Pulse until you achieve the desired degree of coarseness. If making dried breadcrumbs without a food processor, give the bread cubes (in batches) into good quality freezer bags. Seal the bag and crush the bread with the bottom of a frying pan or a sturdy rolling pin. Keep in airtight containers at room temperature for several weeks. If frozen, the breadcrumbs keep for several months. Remove the required quantity from the freezer bag and let defrost for a few minutes on the counter. Break or cut the bread into smaller pieces. Pulse in the food processor to achieve the desired level of coarseness. If making fresh breadcrumbs without the food processor, give the bread slices to a freezer bag and freeze for about 2-3 hours or until ready to use. Grate the frozen bread slices on a grater. The fresh breadcrumbs keep airtight in the fridge for several days. If frozen, the breadcrumbs keep for several months. Remove the required quantity from the freezer bag and let defrost for a few minutes on the counter. Mix one cup dried breadcrumbs or 1 ½ to 2 cups fresh breadcrumbs with the rest of the listed ingredients. Store as mentioned above.